Shopping for new home furnishings can be a fun experience, especially if you’re redesigning an existing room in your home. That being said, shopping for furniture is not as simple as going online or visiting a furniture showroom, finding a piece you like, and bringing it home. Finding the perfect pieces that not only fit the color and style of your space, but also feel comfortable and fit your budget is a process. 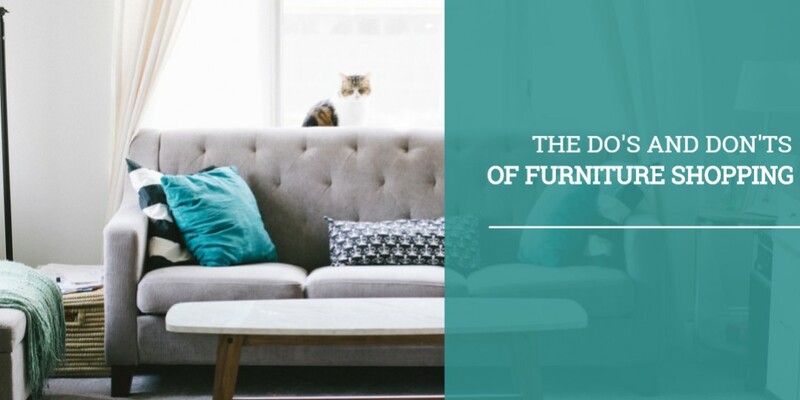 In today’s post, we will give you a few guidelines to help you find the right furniture, and if you live in Waterford or the surrounding area, visit Russell’s of Waterford to see what home furnishings we have in store at our furniture showroom! The last thing you want to do when shopping for home furnishings is find a couch you love only to bring it home and find out that it’s too hard or too soft. 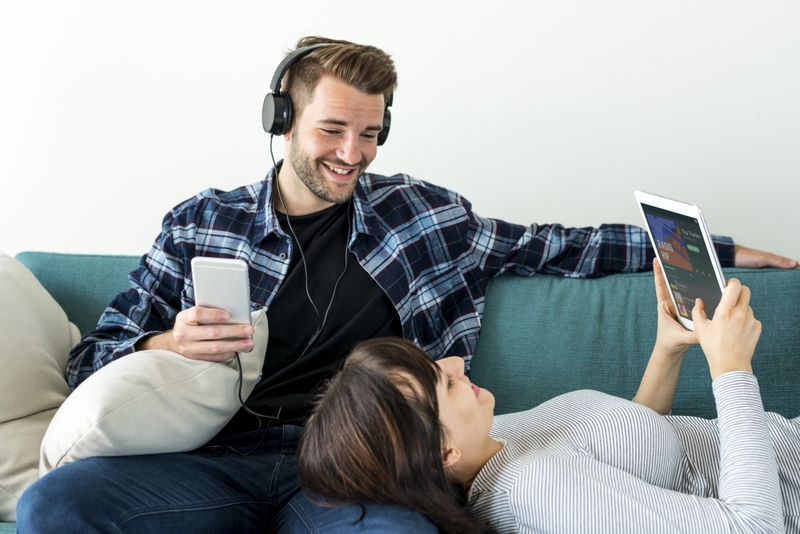 When you’re furniture shopping, especially for things like sofas and mattresses, it’s vital that you take the time to test out each piece to make sure that it’s comfortable. Keep in mind that you are going to have to use these pieces day after day, so it’s best to ensure that you will feel comfortable when doing so. It’s no secret that furniture can be expensive, so it’s important that you set a budget before you start shopping. You can easily find a high-quality sofa or a dining room set for a reasonable price, and setting a budget will help you save money while also finding a piece that you will love for many years. Depending on the home furnishings you plan to buy, it may be a good idea to read reviews to help you determine which brands or styles will best fit your needs. For example, there are many different brands of mattresses, and you may not understand what makes one brand better than the next. Reading reviews will help you determine the difference, and it will help guide you toward furniture that you will love! As you conduct research, you may start to notice that some websites will list the same exact product but with two very different prices. Certain furniture retailers will jack up the price of home furnishings for one reason or another, which can be frustrating when you’re trying to stay within your budget. Before you commit to buying a piece, make sure you shop around and compare prices to ensure that you’re getting the best deal. Failing to take accurate measures of the space can result in some big problems. You may end up buying a couch that is too small for your living room, or you may find that your new nightstand barely fits in the space between your bed and the wall. Before you visit, make sure to double check your measurements to avoid any big (or small) mistakes. Finding the right piece for your space can be difficult, especially if you have an oddly shaped room. If you’re having trouble finding the right furniture, or you’re not even sure where to begin, don’t be afraid to ask for help! The staff working in furniture showrooms are trained to help you find the perfect piece, so make sure to ask for help if you need it. As we mentioned earlier, shopping for home furnishings can be a lengthy process, and it will most likely take you a few days, or weeks, to find the perfect piece. It’s important to remember to not rush the process, and try not to feel discouraged if you don’t find the perfect table, sofa, or dresser at the first few stores you visit. Even if you are shopping for a home or apartment where you live alone, there’s nothing wrong with having another person go with you to give you a second opinion. Shopping alone may lead to disagreement between family members, or it may result in rash decision that you end up regretting in the future. If you’re in the market for high-quality home furnishings that you will be able to enjoy for many years, then visit Russell’s of Waterford! Our furniture showroom is filled with pieces that you and your family will love, from living room furniture to dining room sets, and everything in between. Find everything you need in one place, and be sure to ask for help from our trained staff. ©2018 Russell's of Waterford® - All rights reserved.